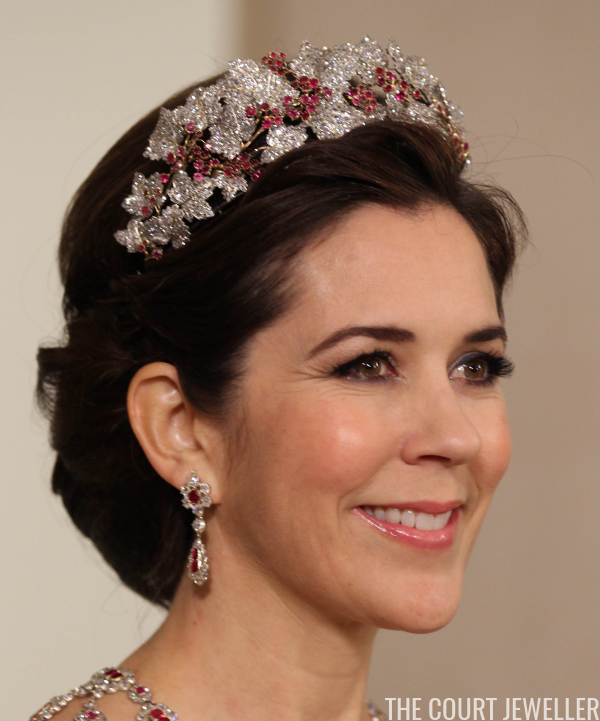 When Denmark's crown princess attends glittering events like royal weddings, state banquets, or the annual New Year's courts, she often wears a distinctive tiara of rubies and diamonds. The tiara isn't only beautiful -- it has an amazing backstory that travels back two centuries to France and the extravagant imperial coronation of Napoleon Bonaparte. 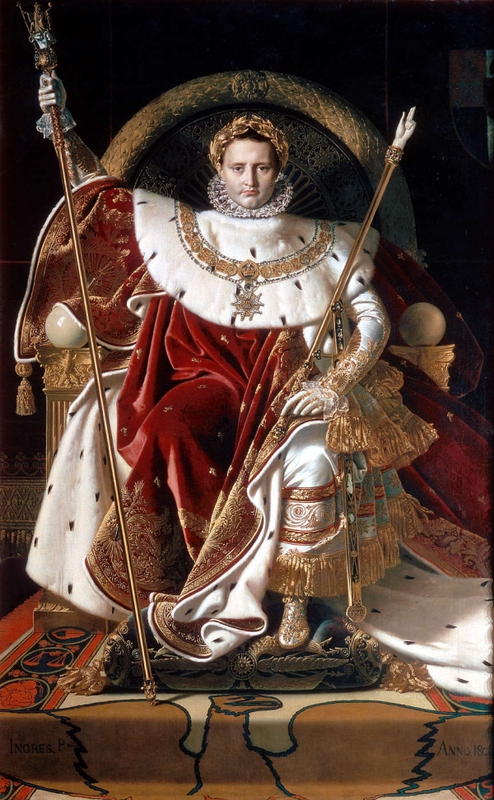 After Napoleon was declared Emperor of France, he knew that he needed to have a coronation worthy of his new position -- and one that would show the world that his empire was legitimate and important. He planned the ceremony down to the smallest detail, carefully referencing French royal tradition while still emphasizing that his reign was new and modern. Surrounding himself with a group of glittering supporters was a key aspect of the plan. He had recently named a slate of 18 Marshals of the Empire, men who had proven their military prowess and their loyalty during his post-revolution quest for power. Outfitting the marshals and their wives in splendid finery, Napoleon decided, would help to emphasize the power of the imperial court. Accordingly, he gave each of the marshals a large sum of money to purchase suites of jewels for their wives to wear at Notre Dame during the coronation. One of these new marshals was Jean-Baptiste Bernadotte, the son of an attorney who had proven himself to be a skillful -- though sometimes manipulative -- military commander. 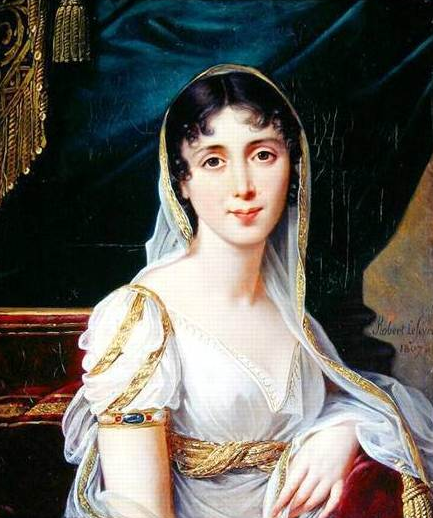 His personal connection to Napoleon was intriguing: in 1798, Bernadotte had married Désirée Clary, the daughter of a silk merchant from Marseilles. Until 1795, Desiree had been engaged to marry someone else: Napoleon Bonaparte. When he met Josephine de Beauharnais, however, Napoleon had ended his engagement to Desiree. Her Bonaparte connections went even further, however -- her sister, Julie, was married to Napoleon's brother, Joseph. 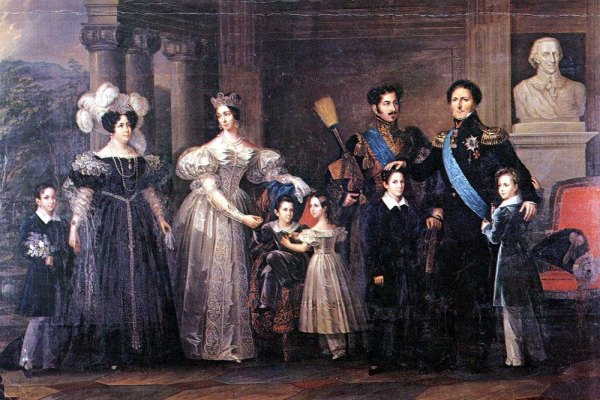 In many ways, Bernadotte owed his position in Napoleon's inner circle to Désirée. When Napoleon handed Bernadotte money to purchase a new suite of jewelry for Désirée, Bernadotte ordered a lovely set of diamond and ruby jewels from a jeweler in Paris. (Sadly, the name of this jeweler seems to have been lost to history.) The suite included a necklace, girandole earrings, and a large corsage brooch, as well as two hair ornaments in the shape of branches, with pavé-set diamond leaves and ruby berries. 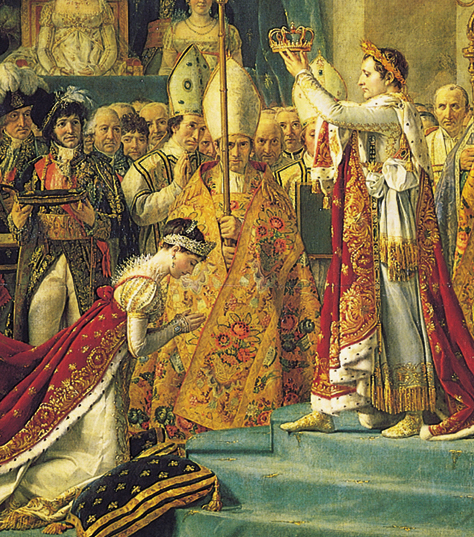 As she walked in the coronation procession at Notre Dame on December 2, 1804, Désirée's new ruby parure would have glittered brightly as she followed Empress Josephine, carrying the new empress's veil and handkerchief on a pillow. Désirée was happy living in Paris among her family and friends at the imperial court, but in 1810, she was suddenly forced to take on a new position. Bernadotte was elected Crown Prince of Sweden, and Désirée had to pack up her life, including her rubies, and travel to Stockholm. It didn't last long; even after Bernadotte became King Carl XVI Johan of Sweden, Désirée was unhappy in Scandinavia, and she fled back to Paris, where she stayed until 1823. That year, her son, Oscar, married Josephine de Beauharnais, a granddaughter of Empress Josephine. Désirée begrudgingly moved back to Stockholm, where she and her rubies stayed until her death in 1860. The next owner of the ruby set was Désirée's daughter-in-law, Josephine, who was known as Queen Josefina by the Swedes. She amassed an incredible collection of jewels during her lifetime, including legacies from Empress Josephine and the imperial family of Brazil. 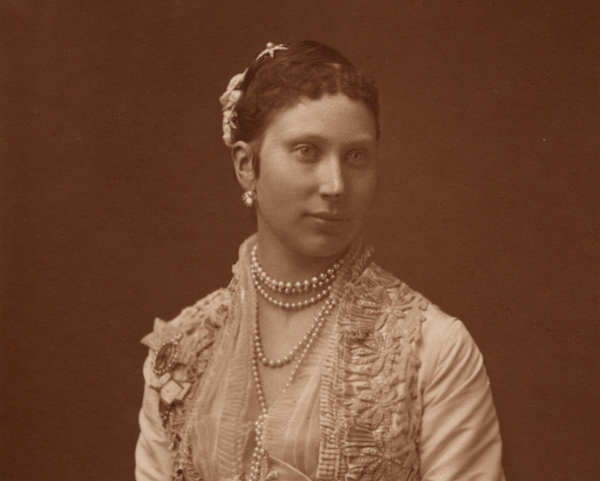 When her granddaughter, Princess Lovisa, married Crown Prince Frederik of Denmark in 1869, however, Josefina knew exactly which jewels to give her as a wedding present. Because the ruby set is red and white -- the colors of the Danish flag -- she offered them to Lovisa, who took them with her to Denmark. The set has been in Denmark ever since. In 1898, Lovisa gave the hair ornaments to her new daughter-in-law, Alexandrine, who married the future King Christian X. She's the one who connected the two branches together and wore them as a sort of bandeau. When Lovisa died in 1926, she bequeathed the rest of the set to her elder son, King Christian. Sadly, though, there don't seem to be any existing portraits of Alexandrine wearing the complete set of ruby jewels. Alexandrine was not a devotée of elaborate jewels, and she didn't keep the ruby parure in her own collection for long. Christian and Alexandrine gave the entire ruby set to their new daughter-in-law, Princess Ingrid of Sweden, in 1935. 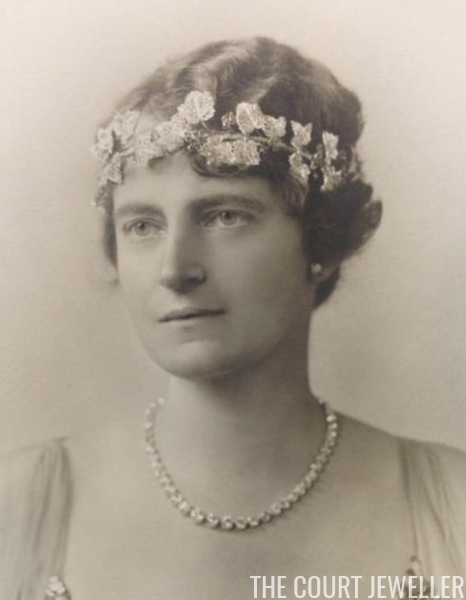 Ingrid, a great-great-great-granddaughter of the set's original owner, took the sparse bandeau and transformed it into a full, imposing wreath tiara. She also made other alterations and additions to the parure during her lifetime. 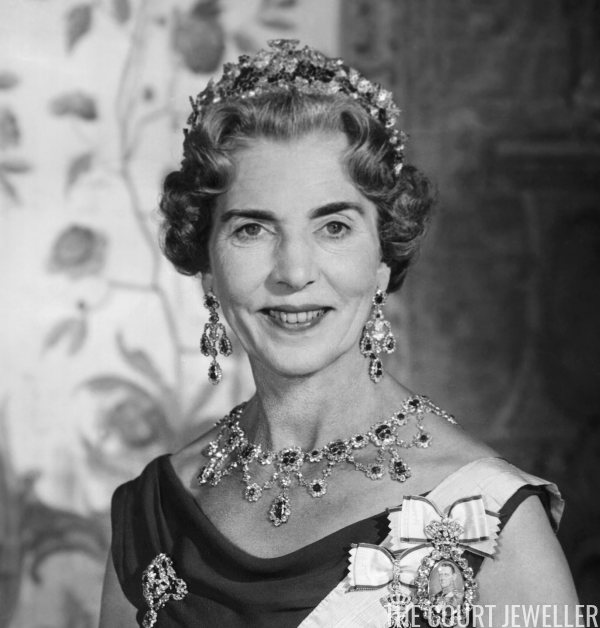 When Ingrid died in 2000, she left many of her jewels to her three daughters, but she bequeathed the ruby set to her grandson, Crown Prince Frederik of Denmark. The rubies were earmarked for his future spouse -- who, unbeknownst to the world, Frederik had met a few months earlier. After the engagement between Frederik and Mary Donaldson was announced, the rubies were the first major set of royal jewels that she wore. 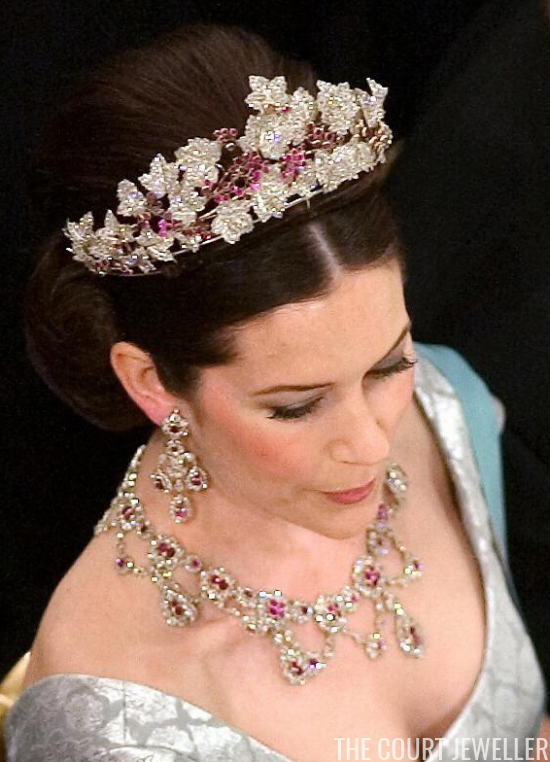 Following in Ingrid's footsteps, Crown Princess Mary had the tiara altered slightly in 2010 so that it better fit the shape of her own head. Two centuries after the jewels sparkled down the aisle of Notre Dame at an imperial coronation, Mary still wears them regularly today.